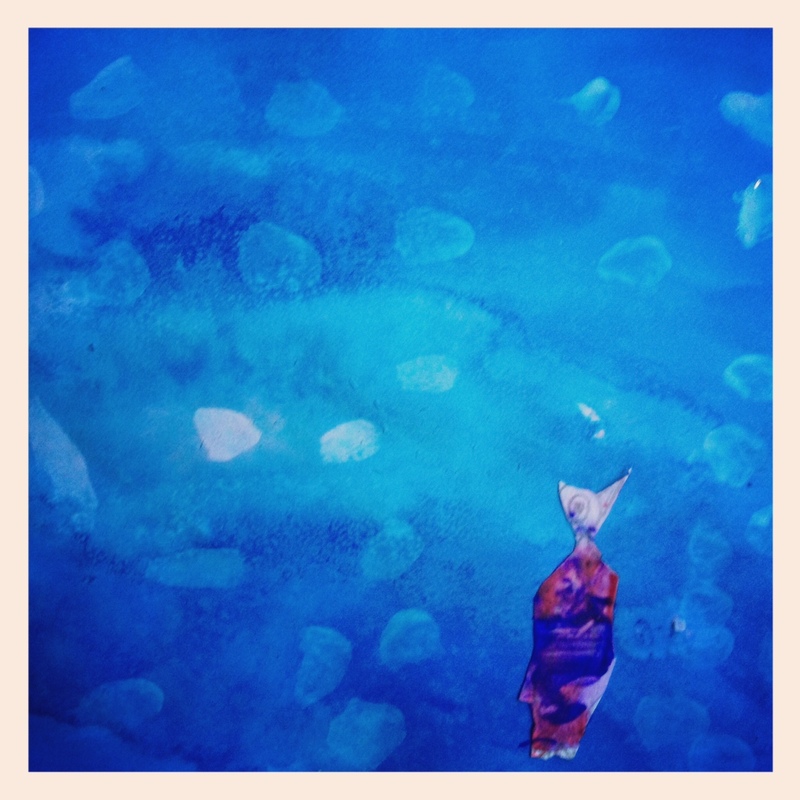 This week the preschoolers and I have visited Africa… and Egypt! We have looked at pyramids and some real Egyptian artifacts from SAM museum! 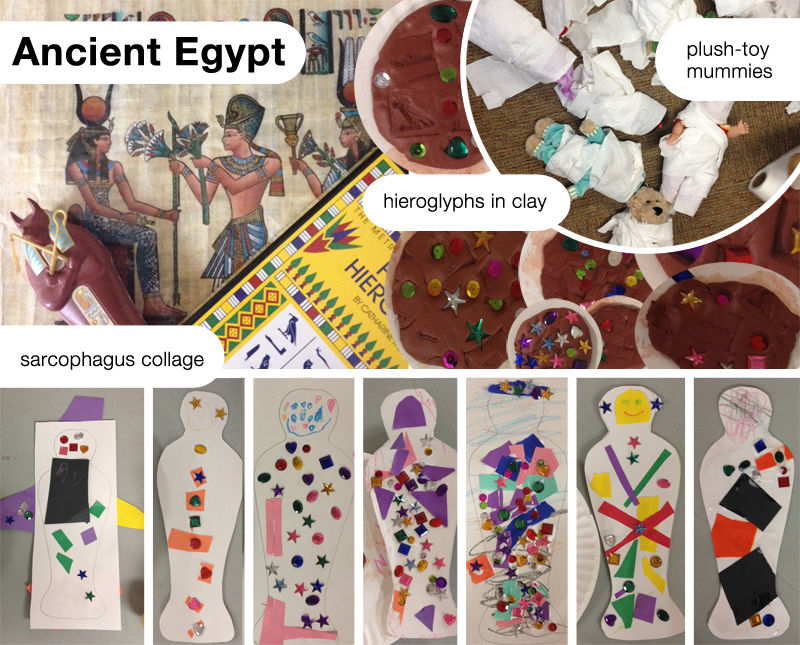 Then we made our sarcophagus collage with colored papers and gems (as you can imagine they all loved the gems!). I also brought my hieroglyph stamps and some self-hardening clay and we made beautiful plaques with them (and again, some gems!). And what lesson about Egypt would be complete without mummies? Since these kids are 3-5 years old, I decided to do something age-appropriate… we got a lot of plush toys and a lot of toilet paper and wrapped them all up! We had dog mummies, bear mummies, baby mummies, pink unicorn mummies… it was pretty spooky – and the biggest hit of the day! The Art around the world course is slowly finishing up. This week we have visited the land of ice and snow: Antarctica. It was a pretty ambitions project that I am very proud to say: we were able to finish in 50 minutes! 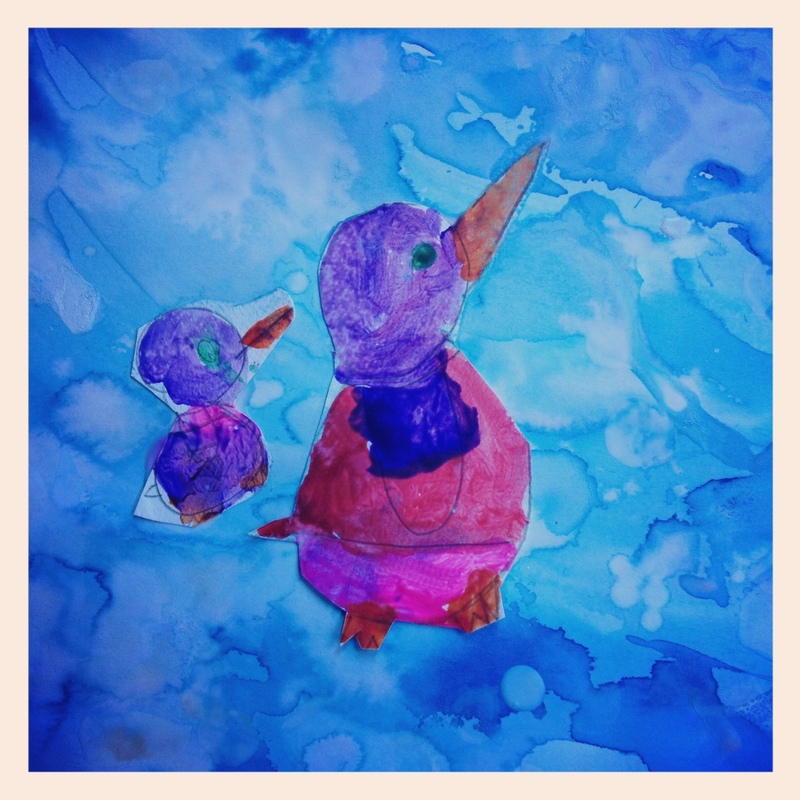 Kids were playing around with watercolors. 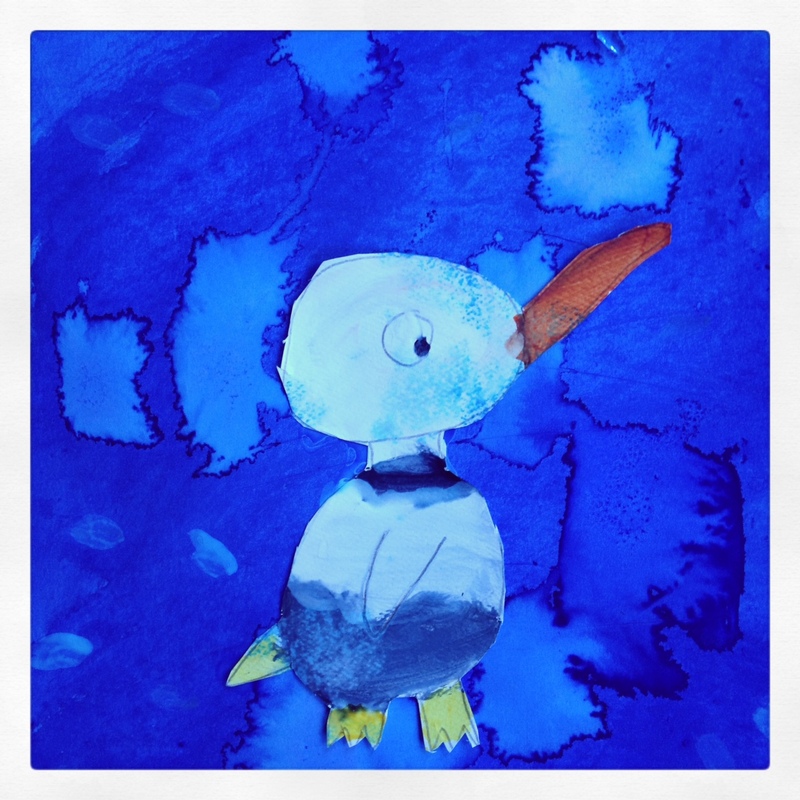 They used light and dark blue, lemon juice, salt, sponges, tissues, water and foil to create an interesting snowy effect for the background of their painting. 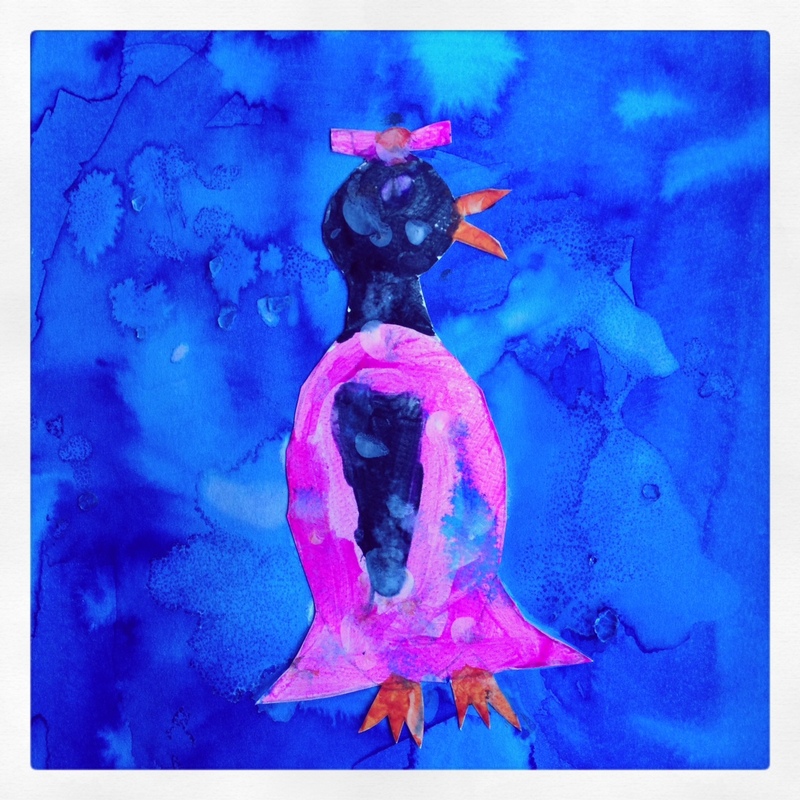 Then we talked about the way to create a penguin, sketched it on a piece of watercolor paper, cut it out and decorated it with tempera paint. 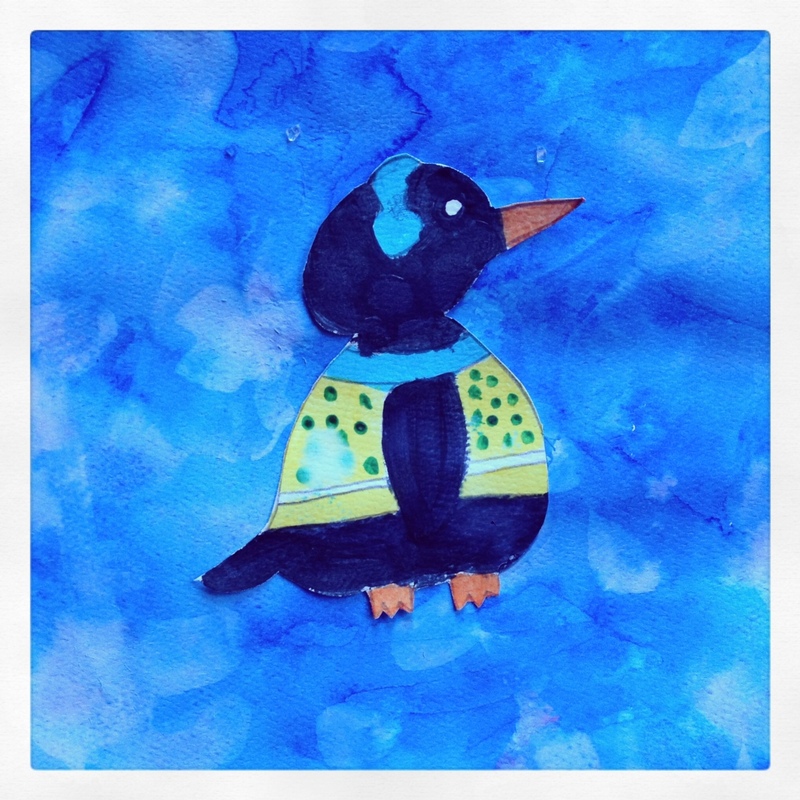 Kids loved adding sweater, mittens, hats and more fun stuff to keep their penguins warm and cozy. 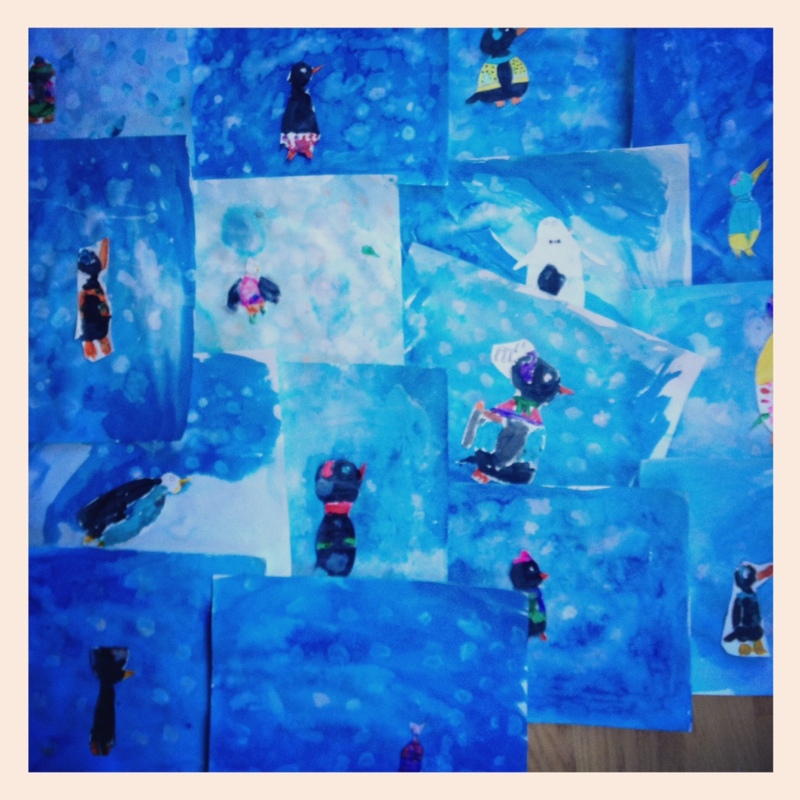 Then we glued the penguins onto the watercolor paper and added some snow. Done. Hectic but totally worth it! In the last two weeks I have started working on (and teaching based on) new curriculum for the preschoolers: art around the world (and through time). So far we have visited two continents – America and Africa. 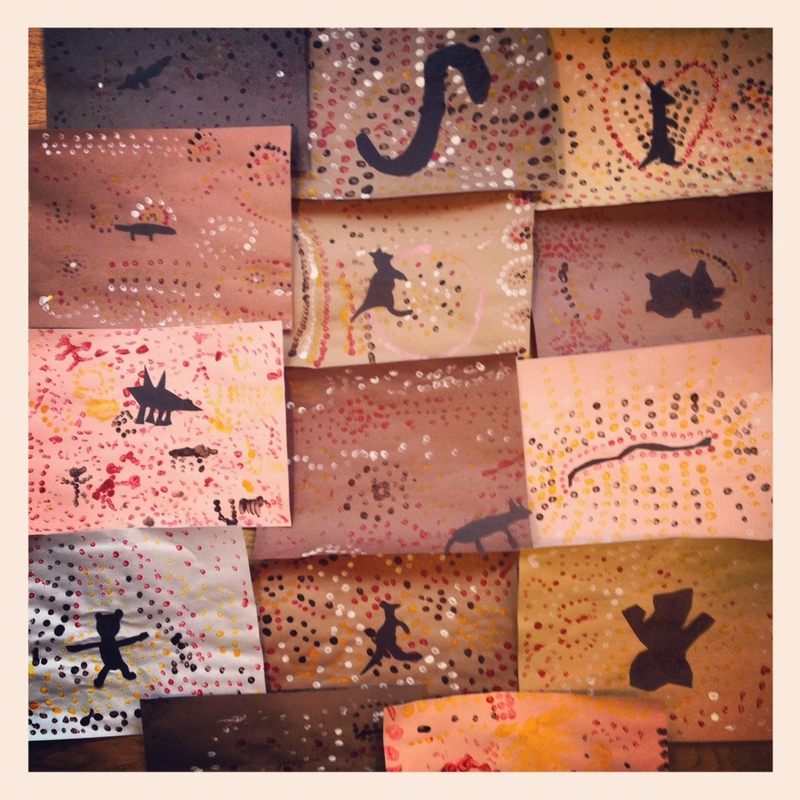 We have visited Plains Indians, learned about pictogram and played a matching game. 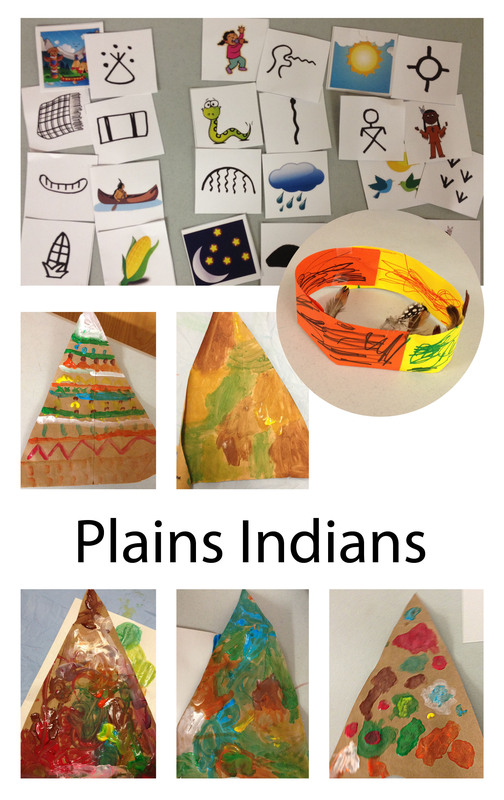 We have also decorated a teepee we would love to live in and created a headband with real feathers. Kids had a blast and all but one did not take their headband off… at all. They also loved listetning to native American flute and talking about customs and traditions.